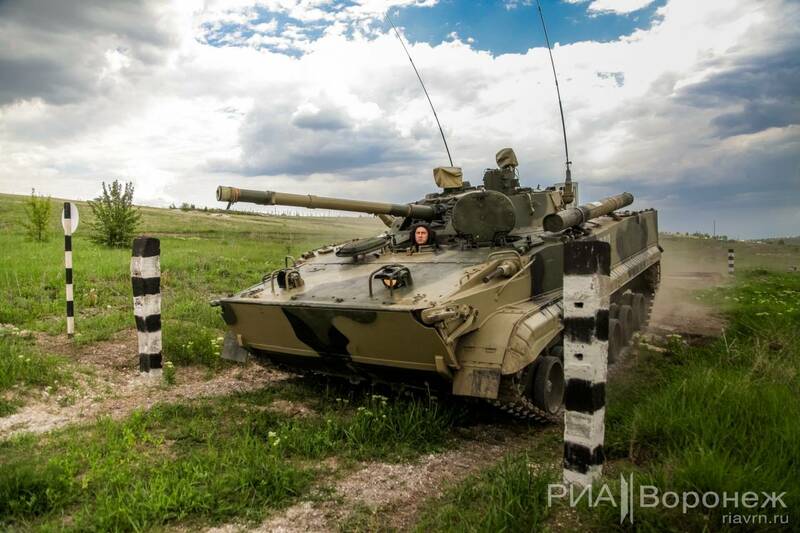 On March 1, 2019, twenty BMP-3M infantry fighting vehicles (IFVs) were delivered to a motorized rifle brigade in the Volgograd district. These vehicles represent the latest iteration of the BMP-3M standard, which has existed in some form or another since the early 2000s. The BMP-3Ms delivered in 2019 are a fairly shallow modernization of the original BMP-3. The package,pictured, lacks the add-on armor, new turret modules, or active protection systems (APS) featured on some BMP-3M prototypes displayed at some shows. It simply consists of the “Sodema” gunner’s sight and new radios. The “Sodema” sight is an integrated gunner’s sight, about on par with the Raytheon Integrated Sighting Unit (ISU) featured on the BMP-3M’s American counterpart, the M2A3 Bradley. Both the Sodema and ISU have a maximum magnification of 12x, an integrated laser rangefinder, thermal imaging channels, and two-axis stabilization. The Sodema replaced the SOZh sight on the un-upgraded BMP-3, which lacks the thermal matrix. Prior BMP-3 upgrades were featured with the SOZh-M or Vesna-K thermal sight, but it appears that the Sodema has been selected over these rival sights, perhaps due to greater resolution or zoom capability in the thermal imager. But could Russia have gotten a better BMP-3 modernization? They likely could have. The original BMP-3’s armor is considered to be on the weaker side of modern IFVs. Made of aluminum to be lightweight, the BMP-3’s frontal armor can only stand up to the weak autocannons. Most contemporary 25mm and 30mm autocannons will pierce the BMP-3 with ease. 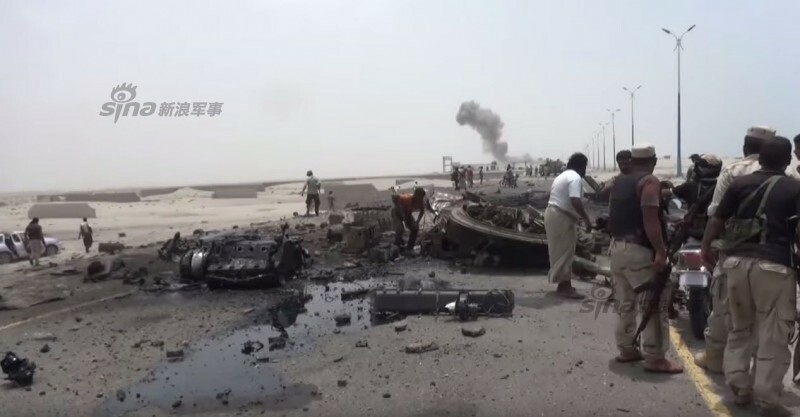 Applique and reactive armor such as those featured on United Arab Emirates’ exported BMP-3s could partially rectify this problem, while retaining the BMP-3’s swimming ability. Of course, such light armor is also very vulnerable to anti-tank missiles and rockets. Some demonstrators were fitted with the Arena Active Protection System (APS) to counter these threats, but these examples were not procured. This weakness comes from the immense firepower the BMP-3 carries. It carries a 100mm main gun, 30mm autocannon, and three 7.62mm machine guns. This results in an incredible amount of ammunition stowed within the small hull of the BMP-3, with up to forty 100mm HE-Frag rounds being loaded at a single time. The powerful explosion of those rounds cooking off caused the hull of the destroyed BMP-3 to totally break part. The decision to upgrade the gunner’s sight makes the BMP-3 more lethal by allowing it to more effectively employ its powerful weaponry, but this may not be enough on a future battlefield. Russia appears to have acknowledged the BMP-3’s weaknesses and have installed the new Afghanit APS on their next IFV, the Kurganets. The decision not to upgrade the BMP-3’s armor likely stems from skepticism about the practical effectiveness of APS or armor upgrades over the thin BMP-3’s armor. The current upgrade is clearly a “budget” upgrade: effective, but only a stopgap until the next generation of IFVs can enter service.